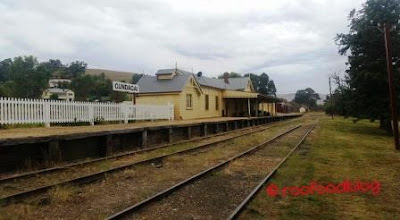 On a recent EPIC road trip around NSW and Victoria I stayed over a night in Gundagai and stumbled across the old train station. Left just the way you would have rode the rails back in the day. It's a beautiful old building and station and wandering around I could only imagine what it was like.